I see spring as a beginning. During the winter, deprived of fresh nutrients, sunlight and long walks outside, my body begins to hibernate. During the last days of February, all my senses feel spring coming – the days get longer, the first fresh plants color the farmers’ market in vibrant green, and my diet changes completely. 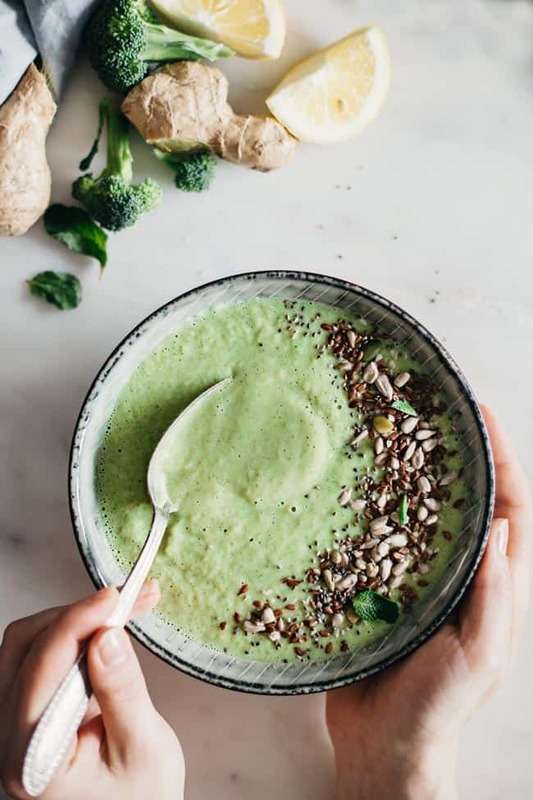 Fresh greens pulsing with energy and loaded with enzymes, vitamins and minerals replace the superfoods I relied on during winter and naturally find their way into my smoothies, salads and soups. Having a gentle detox seems like the best way to start over energized and ready for all the opportunities of the months ahead. I always say that a detox shouldn’t be a challenge for your body, but more of a pampering way to cleanse it and prepare for a new season. During the past few years I’ve tried everything, from juice cleansing to fasting or eliminating certain foods like carbs or sugars. And while I lost some weight, my body felt stressed and exhausted. With time I realized that our body has its own natural detoxification functions, and you can support them with a diet loaded with nourishing, diverse, fresh, seasonal and local produce. Sleep at least seven hours per night, and get some rest anytime your body tells you to. Take long walks in the park and get the benefit from the sunlight – your body will produce vitamin D, your minerals levels will stabilize and your mood will boost. Take a detox bath every evening using Epsom salts, clay or essential oils. Keep a journal every evening and write down all the things for which you feel grateful – it’s a fantastic way to awaken your mind and connect you with the present. Exercise gently – stretching, yoga or pilates – and practice meditation for a balanced state of mind. Drink a lot of liquids (purified water, infused water, herbal tea) and avoid caffeine and alcohol. Don’t eat after 7 pm to allow your body to use all those nutrients for cell regeneration. Start your day with warm lemon water to boost your metabolism and end it with a calming herbal tea. *Blend everything until smooth and serve straight away. *Mix all the salad ingredients into a medium bowl. *In a small bowl add the lemon juice, olive oil, Dijon and honey, mix to combine, then pour this dressing over the salad and toss to combine. Serve straight away. *In a medium sauce pan heat the coconut oil, add the onion and garlic and cook for two minutes over low heat. Add the sweet potato and carrot cubes, turmeric, cumin and vegetable broth and bring to boil, then simmer for 10 minutes over low heat. *Transfer the mixture into the blender, season with black pepper, add the lemon juice and process to obtain a creamy soup. Serve warm. *In a medium sauce pan heat the coconut oil, add the onion, ginger and garlic and cook for two minutes over low heat. Add the broccoli, parsnip and vegetable broth and bring to boil, then simmer for 7 minutes over low heat. 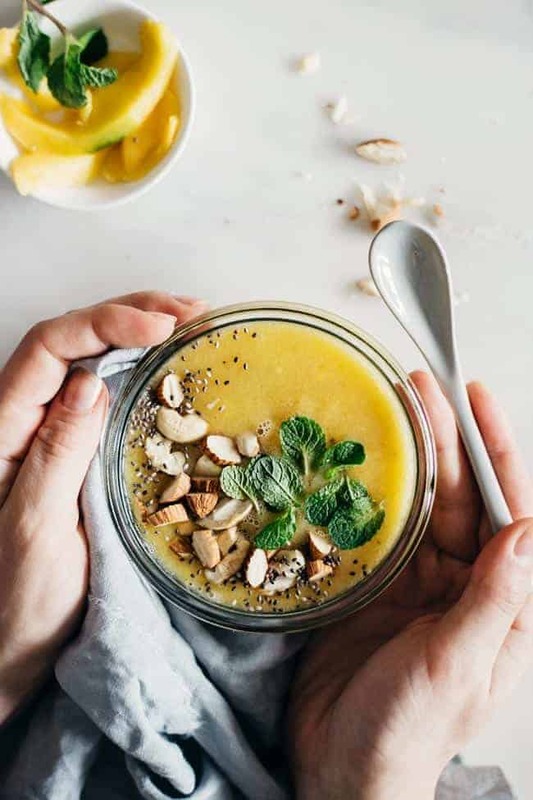 *Transfer the mixture into the blender, add the fresh spinach, lemon juice, mint leaves, avocado and cayenne, and pulse to obtain a creamy soup. *Garnish with mixed seeds and serve warm. Do you have a shopping list for all the ingredients you need for the 3 days? 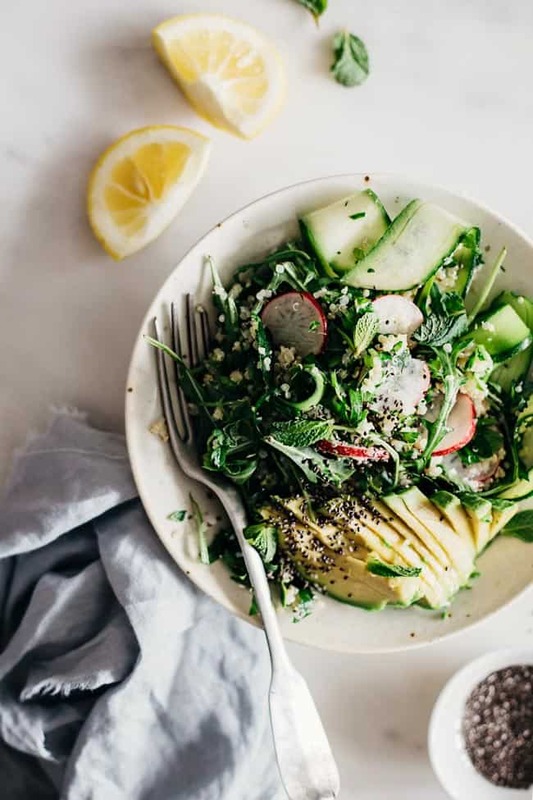 yessss–i am all about this ‘spring cleanse’! thank you so much for sharing this, ana. it’s very thoughtful and elegantly presented. i can’t wait to get started! I stumbled across your website and love it. It’s beautifully laid out and overflowing with practical information. Try FULL fat coconut milk for these recipes. Healthy fats are not the enemy and they do a lot of good for the body during a detox and every day. Everything here looks wayyy too delicious to be part of a detox ;) But that’s the magic!